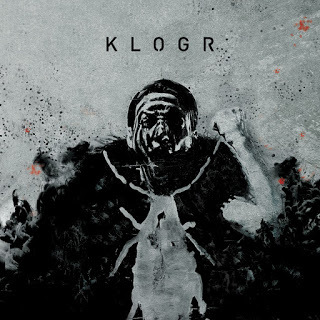 After two full-length albums (Till You Decay (2011) and Black Snow (2014)) and two EP’s (Till You Turn (2013) and Make Your Stand (2015)), alternative metallers Klogr released their new full-length on October 6th. Klogr’s lineup is vocalist/guitarist Gabriele “Rusty” Rustichelli, guitarist Pietro Quilichini “PQ”, drummer Maicol Morgotti and bassist Roberto Galli. People who only like the heavier metal subgenres will probably not like the music Klogr plays on Keystone. However, people who sometimes also appreciate less extreme music would probably really enjoy this album. Whether you want to call Klogr’s music on Keystone alternative metal or heavy rock, it surely is worth listening to. Keystone contains a lot of melody, sometimes it sounds even a bit catchy, but definitely not too catchy. The guitar has a great role on Keystone and there are several nice solo’s to be heard. Klogr plays their music really tight. Sometimes, there’s some more room for drummer Maicol and bassist Roberto so they can show their skills, for example in Pride Before The Fall and Something’s In The Air. This, in combination with the awesome vocals and the always present guitars, sounds really cool. Klogr also has some tracks on Keystone which are a bit heavier, such as Technocracy and Silent Witness. The interlude Siren’s Song seems a bit misplaced and unnecessary initially, but when this flows into the quiet start of follow-up Dark Tides it becomes clear that it’s perfectly placed and makes you focus even more on Dark Tides. Klogr’s biggest power is, besides the awesome guitars, the combination of heavy parts and melodic parts within the tracks. A perfect example of this is the earlier mentioned track Dark Tides. Whether you dig the heavier rock or the less extreme metal, Keystone by alternative metallers Klogr is definitely something I recommend.